The humanitarian situation in the drought-affected north and north-eastern Ethiopia continues to deteriorate as severe drought bites. “Rainfall in October, which was unexpected, was not of great help to the crops that were planted in May; only the livestock benefited temporarily, now the people are facing a significant crop failure,” a humanitarian worker, who requested anonymity, told IRIN on 23 November. The area has experienced successive failures of the Belg (short rains ending in May) and Meher (long rains, which start in late July) in the past few years, resulting in low crop yields in some parts and near-crop failure in others. 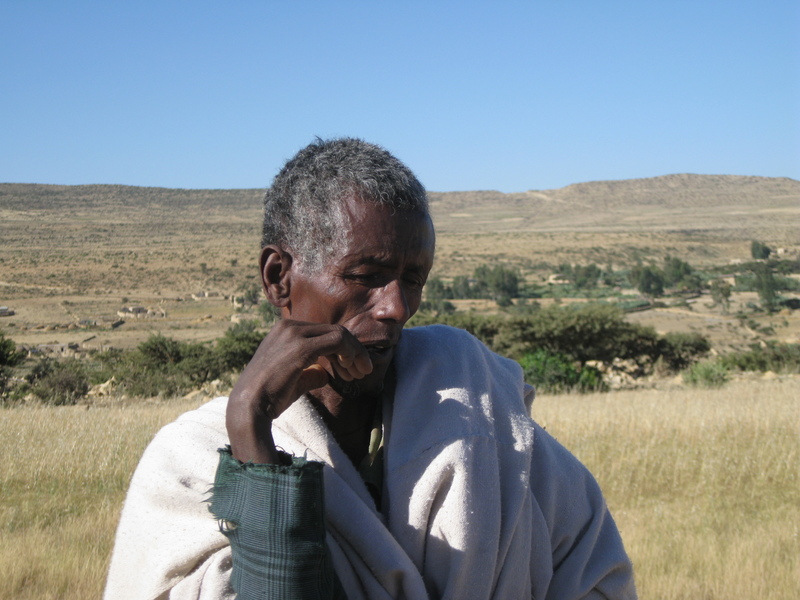 The aid worker, a member of an inter-agency assessment mission to Tigray in the Eastern Zone in the northeast, said signs were that the situation could deteriorate, with rising malnutrition rates, crop failure, water shortages, population movement to areas where drought was less severe, as well as greater dependency on relief aid. The findings of the assessment, by the Ministry of Agriculture and Rural Development, Disaster Management and Food Security Sector, the Tigray Regional Disaster Prevention and Preparedness Department, OCHA, the World Food Programme, the UN Children’s Fund and several NGOs, including Relief Society of Tigray, will be concluded by end-November. These results will determine how many people will require emergency food aid and non-food assistance in 2009. The Ethiopian government and its humanitarian partners issued an update on 14 October, seeking emergency aid for an estimated 6.4 million people across the country. A multi-agency rapid assessment of the drought situation in Tigray at end-September, and included in the October requirement document, recommended the provision of emergency food aid to an estimated 600,000 in nine “hotspot” woredas (districts) countrywide. 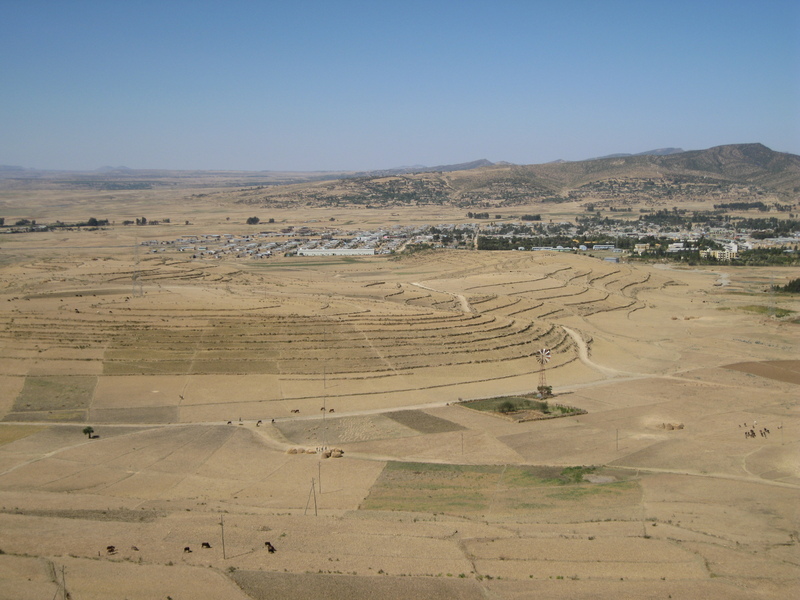 Tigray authorities requested the multi-agency assessment team in November to cover 27 woredas out of 34 in the region, a sign that drought was spreading fast. Some residents of woredas affected in the Eastern Zone, such as Kilte Awlaelo, Atsbi Womberta and Tse-se Tsada Ambat, told IRIN they were considering migrating to other parts of the country, while others were contemplating selling their livestock, despite falling prices, to survive. Gebremedhin Gebregergis, a farmer in Kihen Tabia of Kilte Awlaelo woreda, said his one-acre Teff crop had almost failed and he expected to harvest less than one quintal (100kg) and leave the most stunted for his ox and cow. A health extension worker in Kilte Awlaelo said malnutrition rates had increased compared with three months ago and the health ministry had intensified efforts to prevent increases in cases of diseases such as malaria, diarrhoea, eye ailments, worm infestation and pneumonia. “In June, we screened 746 children under-five for malnutrition but the figure dropped to only 415 in October because some of the children had moved to other parts of the country with their parents while others were no longer attending school because of the drought,” the health worker said. Birizaf Tsegay, 17, a resident of Wukro village in Atsbi Womberta woreda, said the drought had reduced the harvest from her mother’s two-hectare farm to such an extent that migration by some family members was inevitable. In its September Focus on Ethiopia report, OCHA reported that emergency aid in Tigray had been extended to November due to poor food security in the region. “There is a limited supply of cereals in most markets compared to livestock availability,” OCHA said.